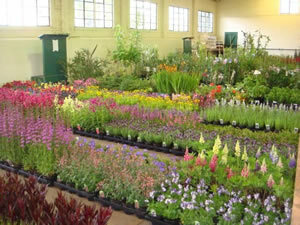 Picture: One of our sheds before a nursery stock sale. We sell a huge range of Trees, Shrubs, Plants, Flowers, Fruit & Veg by auction. The items for sale come from all over the country, as do the buyers. Items for sale are delivered on a daily basis and we never know exactly what may arrive. If you are looking for a peticula Horticultural item it will always be best to ring before setting out to visit us. 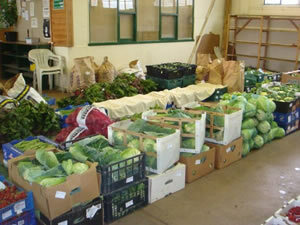 Picture: One of our sheds before a produce sale.